You will find your functional bungalow for a relaxing holiday in the beautiful countryside of the southern Bodden coast, vis a vis the peninsula Fischland-Zingst. This high-grade and comfortably furnished holiday home has a spiral staircase and pitched roof. This home is located in a rural area near Dammsee and the Mürtiz National Park. This wooden bungalow with a large terrace is on the outskirts of Kaltenhof, facing the Baltic Sea. The living room has an open kitchen and an area to relax. Located in Prerow while is in a very quiet area, this comfortable holiday home on the ground floor of an apartment building. Relax with the soothing sounds of the ocean waves and the aroma of a salty sea breeze. This very neat and practically furnished holiday home is the ideal choice for a sunny beach holiday. 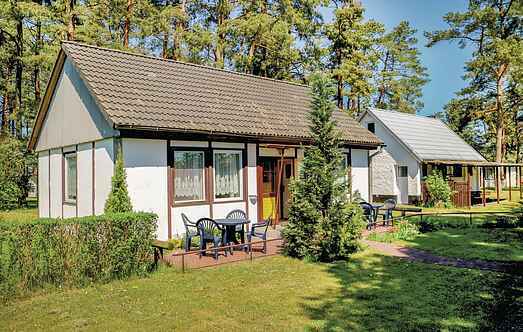 Enjoy a great holiday in the beautiful Mecklenburg Vorpommern. The holiday accommodation is located in a quiet residential area on the outskirts. Beautiful, built in 2017 house in Boiensdorf near the coast of Mecklenburg-Vorpommern. In this stylish and modern holiday home you will feel at home immediately. 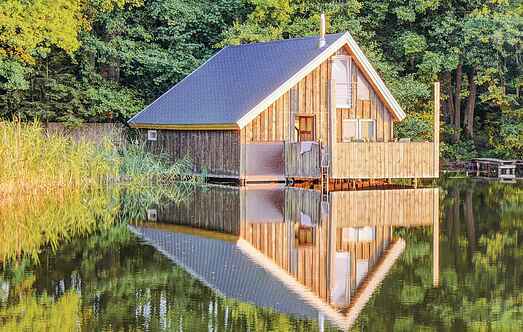 This cottage is idyllically situated on a hill on the Tollensesee in Mecklenburg-Vorpommern. Enjoy the high-quality interior with u. a.
Blücherhof Estate is a district of Klocksin situated between Warn (Müritz) and Teterow about 20 km away in the Nossentiner / Schwinzer Moor Nature Park. These bright, renovated in 2018 and modern apartment is located in Wangern on the island of Poel. This home, renovated at the end of 2012, is located on the second floor of a modern apartment complex. Welcome to "House Reet am See" right on Conventer lake. The beautiful thatched cottage is ideal for families with children or people who want peace and want to enjoy nature.